After receiving a degree in electronical engineer (1963) and a doctorate in applied physics (1970) at the university of Ghent. He did a post-doctorate at the University of Colorado, in the Laboratory of Atmospheric and Space Physics (1972). He worked at the Belgian Institute for Space Aeronomy until 1978. Dirk became an astronaut candidate in 1977. After joining the European Space Agency in 1978, Dirk Frimout acted a crew cordinator for several European Experiments aboard Spacelab. He was selected in 1978 for Shuttle flight STS-45 (the ATLAS 1 mission). Fifteen years later, he was the first Belgian in space, on board the Atlantis Shuttle on March 24, 1992. Dirk was responsible for the European scientific experiments carried out on board Atlantis. The other members of the STS-45 crew were six Americans, including a woman Kathryn Sullivan. This Atlas-1 mission of earth observation was completed on April 2 with a succesfull landing at Kennedy Space Center. 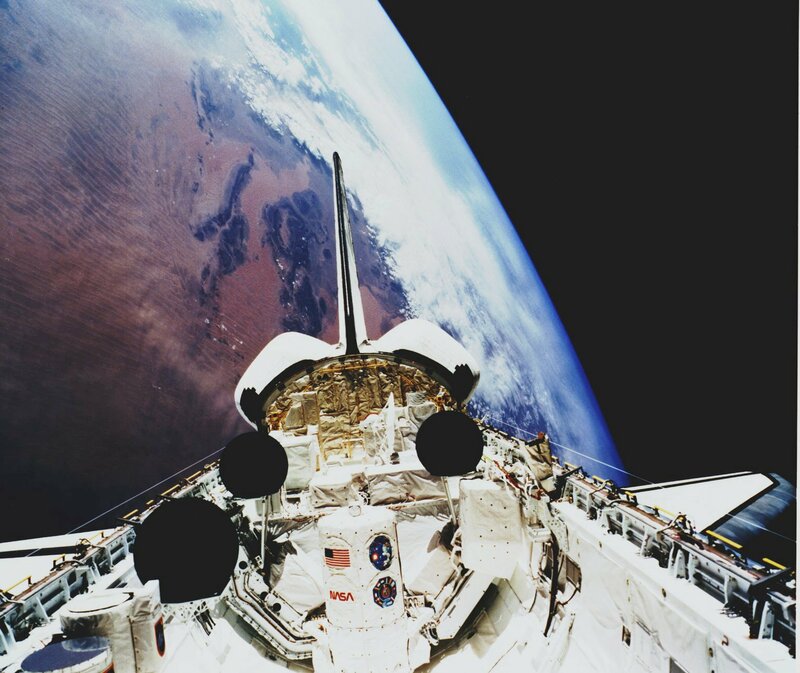 Dirk was also the alternate Payload Specialist for the STS-61 mission. He was the first Belgian amateur radio operator with the call sign ON1AFD. Dirk, as well as several other STS-45 crew members spent some off-duty time using the amateur radio equipment to communicate with "hams" and students on Earth. Dirk Frimout carried out his dream, to fly and float in space. His exploits have driven the enthusiasm of all Belgians. He was made a Grand Officier de l'Ordre de léopold and also received the title of Viscount. Dirk Frimout returned to Belgium and directed several researcher teams in the fields of telecommunications (Belgacom), speech technology (Flanders Language Valley) and biotech industry (Tibotec). Born March 21, 1941, in Poperinge, Belgium. Married. Two children. Hobbies include running, bicycling, walking, traveling, and chess. Elementary School at Poperinge. Secondary School at Atheneum at Ghent, Belgium. Received degree of electrotechnical engineer at State University of Ghent in 1963; a doctorate in applied physics from University of Ghent in 1970; post-doctorate at University of Colorado, Laboratory of Atmospheric and Space Physics (ESRO fellow) in 1971-1972. Associate member of Belgian National Council for Space Research. Member of KVIV (Royal Association of Flemish Engineers). Association of Engineers from University of Ghent. More than 30 publications relating to Atmospheric Physics Experiments, Crew Training for Spacelab, and Microgravity Experiments. 1971-72 Postdoctoral Research Fellow from ESRO (European Space Research Organization).